Custom Sheet Metal Inc. provides Broomfield, Colorado with custom sheet metal, metal fabrication, break metal, custom flashings, custom metal panels, custom gutters, and custom metal colors. We are a family owned business focusing on providing outstanding customer service and satisfaction with our metal products. We have built our business on our outstanding reputation and referrals from our customers. What custom projects do we work on? What areas do we service outside of Broomfield? We pride ourselves as experienced, professional sheet metal fabricators who are capable of meeting the needs of our customers in the construction, processing, and equipment building industries. 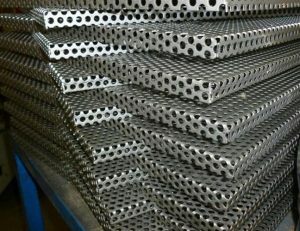 We are an industry-leader for precision, high quality custom sheet metal fabrication services. Our high-end and capable equipment, advanced design software, and our experienced, expert engineering team, all work together to ensure that we will meet your needs for sheet metal fabrication.